this is not some sort of fictional story my writings is like a pod cast expressing my experiences. Treecko is love, Treecko is life. Which Pokemon you think is underrated? This could be for number of reasons like if it's good in battle or it's just appealing. Scorbunny for sure! 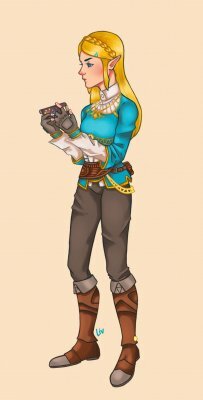 It's just so adorable and cute! Ghostly_Sceptile and Excalibur Queen like this. 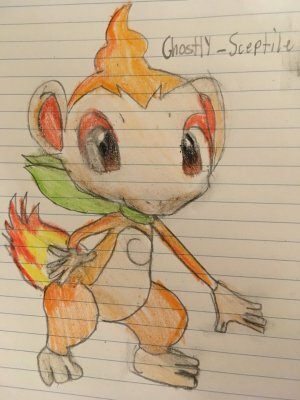 Yeah Scorbunny is my favorite tied with Grookey but I think ima go with Grookey in the end because he's a cute monkey and I love grass types. tho every Pokemon is speculation till officially announced so saying they look like fakemom does not make any sense to me. I really like the new starters I just feel like everyone expects too much of the franchise. Then people complain for no good reason. People been complaining about the pokemon games for years now. Remember 2011 when Black and White came out everyone thought they were Fake and complaining about "running out of ideas" tho they haven't its just some fans just expects way too much its frustrating me. 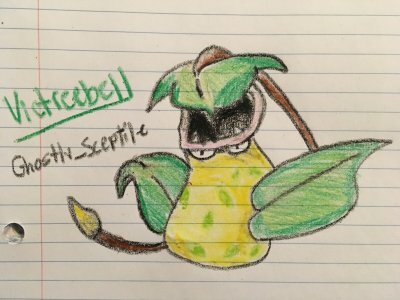 Ghostly_Sceptile, Excalibur Queen and PrincessPika like this. Probably Goodra or Altaria, I can't really decide; Goodra is kinda cute and apparently very friendly, whilst Altaria and its Mega Evolution are quite pretty and floofy. Ghostly_Sceptile, Excalibur Queen and Jodie.xox like this. Aha, just wait till you're in the twenties. Also your profile picture... IS BELLOSOM THAT BIG IN ANIME!? Excalibur Queen and Ghostly_Sceptile like this. i really like grass types, i'd be a grass type gym leader. Glitchy Gold, Pokémon Rival Silver and Skyst like this. Samurott is okay, but I never caught it. I did, however, get a Serperior, which I loved very much.What was your team? 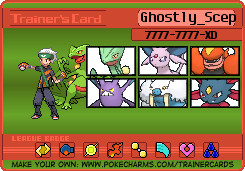 Pokémon Rival Silver and Ghostly_Sceptile like this. Pokémon Rival Silver and Skyst like this. 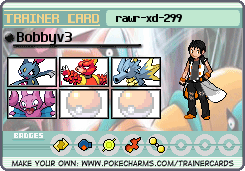 My team was Emboar, Scolipede, Chandelure, Zoroark, Mienshao, and Swoobat. It was pretty good, and I also switched out my Swoobat for my Excadrill and my Zebstrika often. What's ur favorite pokemon generation? Mine is gen 3, I also liked pokemon x&y and Black 2 alot. My favorite is gen 2 and hgss. Not because I am from there; no. I just love Johto! Johto4ever! Skyst, Ghostly_Sceptile and HuggyMo like this. 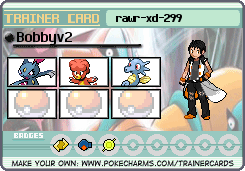 lol I was out of the Pokemon phase up until Black 2 and White 2 came out. I love those games and gen 5. HuggyMo, Pokémon Rival Silver and Skyst like this. Pokémon Rival Silver, HuggyMo and kyuukestu like this. Pokémon Rival Silver, Excalibur Queen and Ghostly_Sceptile like this. Pokémon Rival Silver, Excalibur Queen and Skyst like this. Pokémon Rival Silver, Glitchy Gold and Ghostly_Sceptile like this. I gave a follow and a bunch of likes back to you! thank you so much and ur welcome! 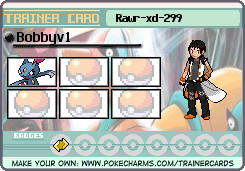 Pokémon Rival Silver, Jodie.xox and Glitchy Gold like this. Every Pokemon type is good and viable I honestly don't have a favorite type, I think they're all good! Glitchy Gold, Pokémon Rival Silver, Jodie.xox and 1 other person like this. Pokémon Rival Silver and Jodie.xox like this. Pokémon Rival Silver, Ghostly_Sceptile and Glitchy Gold like this. I'm not into fire starters at all but I'm starting to appreciate the Torchic and Chimchar line. Pokémon Rival Silver and Glitchy Gold like this. I have to say Latios and Latias are my favorite legendary Pokemon. They're so cool. 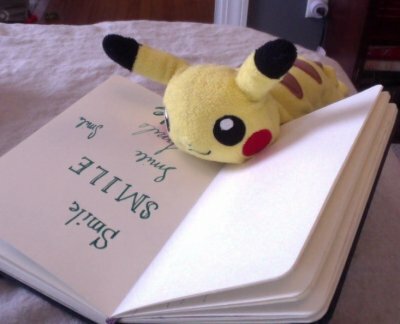 Just someone who always liked Pokemon from a young age. I want to be the very best, like no one ever was. To catch them is my real test, to train them is my cause! I will travel across the land, searching far and wide. Each Pokémon to understand, the power that's inside.